How Often Is Too Often To Get A Relaxer? Once upon a time, going natural was thought of as just a fad or something that would eventually go away. And for many women that was the case. 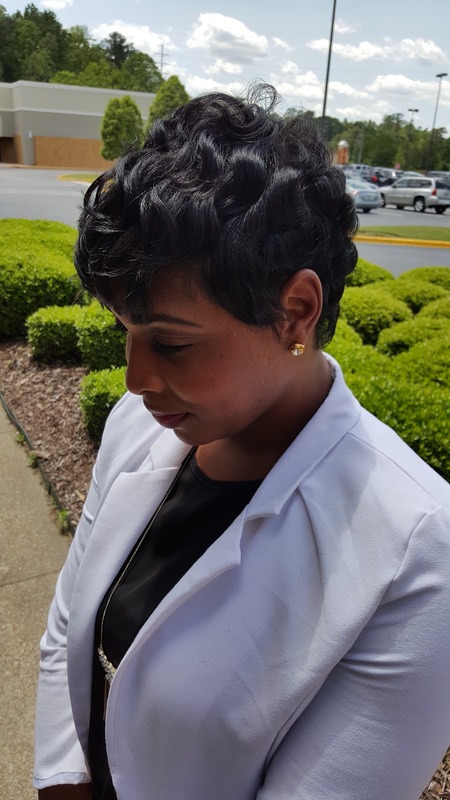 Some wanted to try it out and simply preferred their relaxer instead of their natural locks. If you were to ask any woman why they decided to go natural in the first place they would probably tell you that they wanted their hair to be healthier. But is natural hair really healthier than relaxed hair? 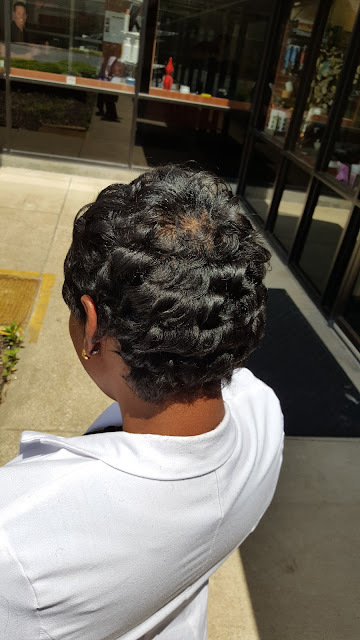 Why do so many women with relaxed hair experience damage? With so many women ditching the "creamy crack", a.k.a relaxers, altogether, it leaves a lot of women questioning if they should just decrease the frequency of when they should get relaxer touch-ups (also known as relaxer stretching) done. is 1-2 inches of new growth present. So what exactly does that mean? Here is a breakdown... Normal growth of healthy hair is approximately 1/2 inch per month. So it takes about two months for the average person to get one inch of new growth and four months (or sixteen weeks) to get two inches of new growth. Yet, the majority of women request a relaxer after six weeks, some as early as four weeks! There are some women whose hair grows at a faster rate than normal, and others whose hair grows slower. With the exception a very few, I like for my clients to go between 14-16 weeks before getting their next relaxer. If relaxers are applied too soon there is a greater chance of overlapping the relaxer onto previously relaxed hair, causing over processing. And once your hair has been over-processed even Silk Hydration by L. Jones products won't be able to stop the damage from occurring. It will, however, be able to nurse it back to health but that is another blog post altogether. One exception I have to relaxing before fourteen weeks is if the client has short hair, meaning it gets shaved in the back or is tapered down. The reasoning: this hair is constantly being cut, and the majority of the hair being cut is the relaxed part. What that means is that any overlapping of hair that can potentially occur is being cut off, leaving mostly new growth. So it does make sense to relax short hair more than you would on long hair. 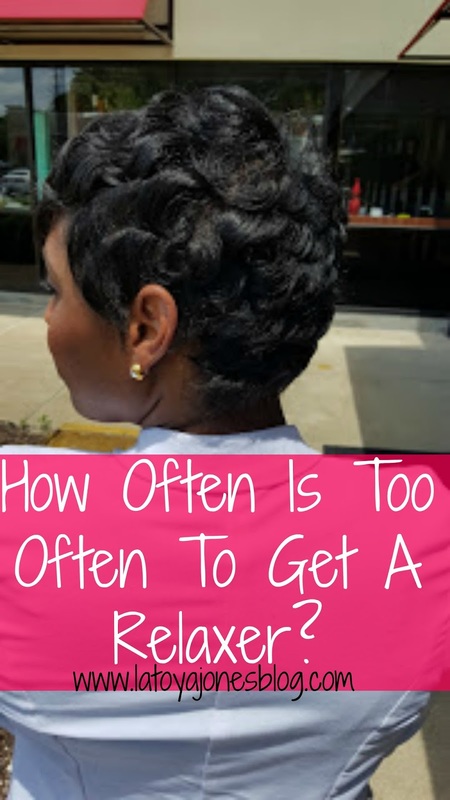 However, the minute my short hair clients say they want to grow their hair out, I then start encouraging them to start stretching their relaxers out to fourteen to sixteen weeks. The is the only time, other than if the hair grows extremely fast, that I will even consider relaxing before fourteen weeks. I already know that this is unheard of to some of you, but if you want healthy hair you have to be willing to do your part to get it. I personally go six months (24 weeks) between relaxers and I have extremely thick hair so if I can do it, anyone can! So, remember, get at least 1-2 inches of new growth before you get your touch up! Your hair will thank you! If you do not have that much new growth at six weeks, stretch your touch up out until you do. Your hair will be much healthier and never again will you think that you have to be natural to have healthy hair. Also, be sure to use great hair products on your relaxed hair to maintain its healthiness. My product line, Silk Hydration by L. Jones, is great for chemically treated hair. Check out the video below for the correct way to apply a relaxer. I do not do weaves or braids, so styling my hair after 10 weeks becomes a struggle...any suggestions? Once it becomes difficult for you to style your own hair, I suggest you start seeing your hairstylist at that point so they can straighten it for you and all you need to do is maintain it.